☎ Telephone: 0086-755-84801575. Please note, the operator speaks Chinese only.  Opening Hours: 06:30 to 22:00, Monday to Sunday.  Getting there by Metro: Travelers can take Shenzhen Metro Line 3 and alight at Nanlian Station and leave from B2 Exit to walk 500 meters northwest to get to Shenzhen Longgang Coach Station.  Getting there by Bus: Communter bus routes 309, 351, 365, 366, 380a, 811, 812, 818, 839, 862, 868, e7, m230, m266, m268, m275, m305, m316, m359, m361, m431, m447, Shenhui Line 1, Shenhui Line 2, Shenhui Line 2 Branch and Shenhui Line 3a stop at Longgang Bus Terminal （龙岗长途客运站）. 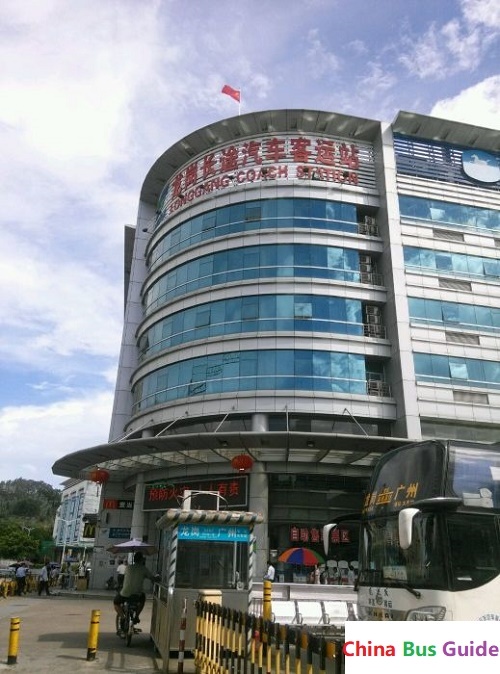 Opened on July 1st, 1998, Shenzhen Longgang Long Distance Coach Station now operates more than 130 bus routes including 39 provincial bus routes and 97 inter-provincial routes.